Bookbinding is an artistic craft of great antiquity, and at the same time, a highly mechanized industry. The division between craft and industry is not so wide as might at first be imagined. The physical make-up of the Chinese book has undergone many interesting and drastic changes since remote antiquity, if by the word 'book' is meant any written or printed material put together in a convenient and portable form so as to compose a material whole for the purpose of recording thought or action and of transmitting ideas or knowledge. In the Shang and early Chou Dynasties writings were inscribed on oracle bones and tortoise shells, or cast in bronze. Owing to the small surface offered by these materials and to the laborious technique of Chinese writing in early days, naturally brevity was imperative. With the introduction of the stylus and ink in the form of lacquer made of tree sap, bamboo strips and wooden tablets were employed as writing materials, followed by silk fabrics, in the same way that such materials as clay tablets, bark, leaves, papyrus, parchment, etc., were used in other parts of the world prior to the general use of paper. Likewise the form of the Chinese book changed from the bundle to the scroll, and from the scroll to the codex. After the introduction of Western books and printing presses, Chinese books on modern topics began to appear in modern commercial paper and cloth bindings like their prototypes in the West. Many a connoisseur of fine books frowns upon cheap publications and deplores the passing away of superbly and antiquity books in which every detail of paper, type, form, and arrangement are in wonderful harmony and elegant, with their symmetrical Chinese characters in jet black ink on clear, unblemished white paper and with elegant, embroidered silk covers in brocade cases or in carved wooden boxes. Not a few scholars and collectors like to see their literary works printed and bound in the old ways. Good taste and sound judgment, after all, are of paramount importance in the production of books, in China as elsewhere. So these books is artistically and scarcity. 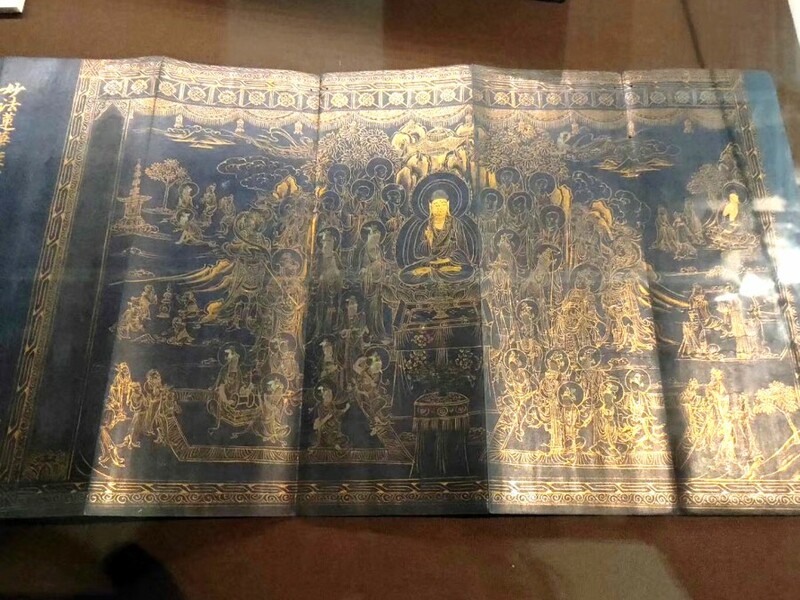 - “The Beauty of the Books and Literatures - The Bookbinding Art of Ancient Chinese Books and Literatures Collection Exhibition”, is to trace briefly the development and evolution of the material and appearance of the Chinese book, from its rudimentary beginning to its present form. This exhibition is an important achievement of the Shanghai government's work on the protection of ancient books. 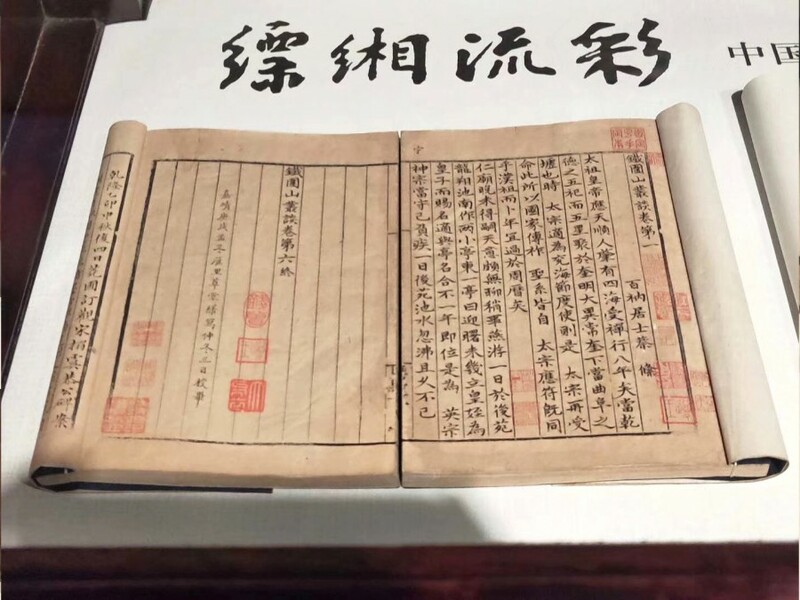 Through the exhibits in the exhibition, the contribution of Shanghai's modern and contemporary collectors to the decoration of ancient books was introduced, and the artistic heritage of Shanghai culture was revealed from a special artistic perspective. 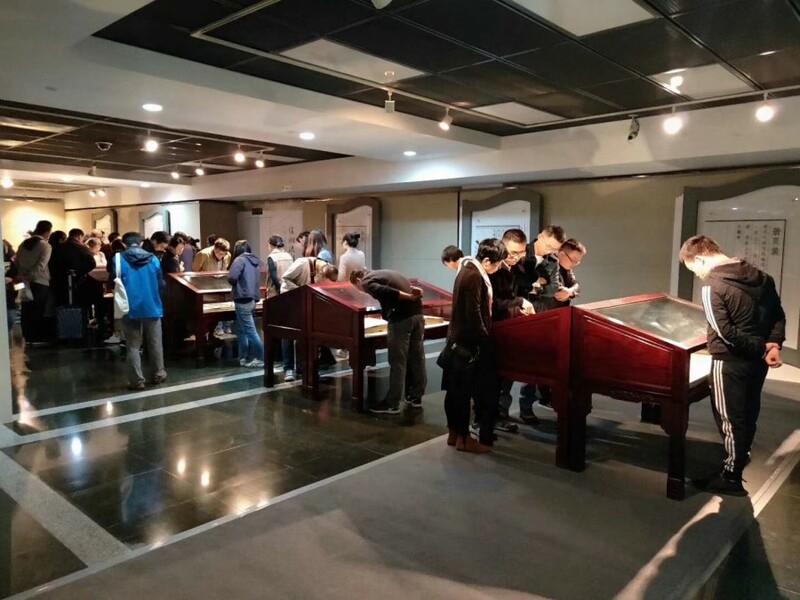 - The exhibition will showcase the precious books and Literatures, which classics of the Ming and Qing dynasties, especially the famous collectors such as Xiang Yuanzhang, Huang Yulie, Gong Xinyi, Wu Hufan, etc. The literature categories cover Buddhist scriptures, books, rubbings and so on. Packing, folding, album loading, reel loading, etc., and classifying the use of traditional art such as painting, calligraphy, and engraving in book decoration. There are a total of 100 exhibits, of which 38 are first-class collections and 24 are second-class collections. All exhibits are called “key highlights of the collections” of the Shanghai Library. 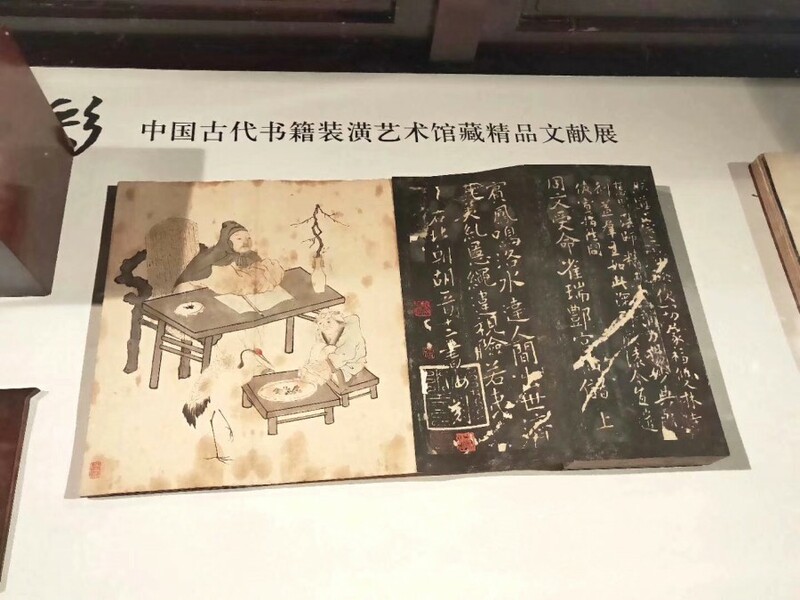 - The Shanghai Library and collectors has published books on "The Beauty of the Books and Literatures - The Bookbinding Art of Ancient Chinese Books and Literatures Collection Exhibition" together, which not only included all the exhibits in the exhibition, but also added dozens of pieces that failed to appear in the exhibition.